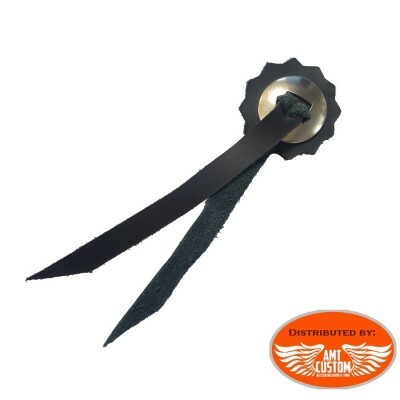 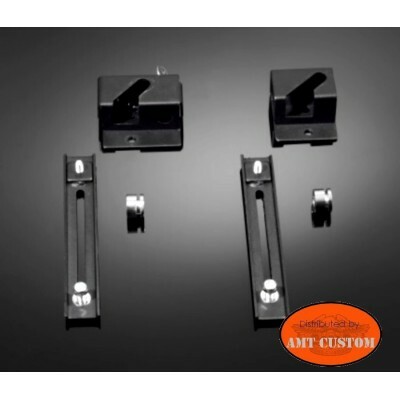 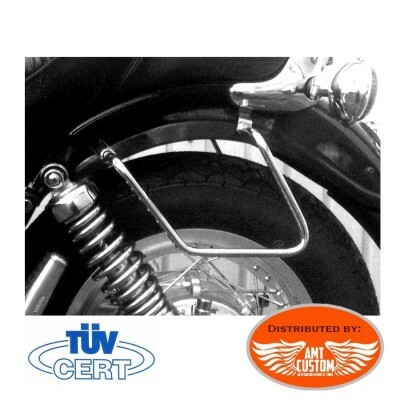 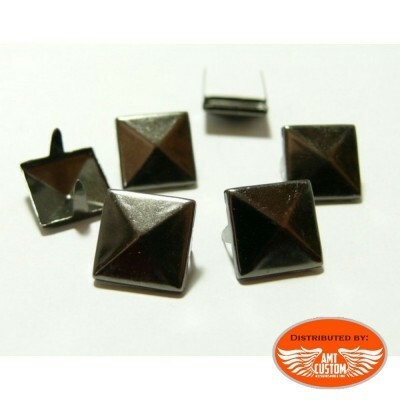 4 distance clips holders for Universal bags - custom motorcycle. 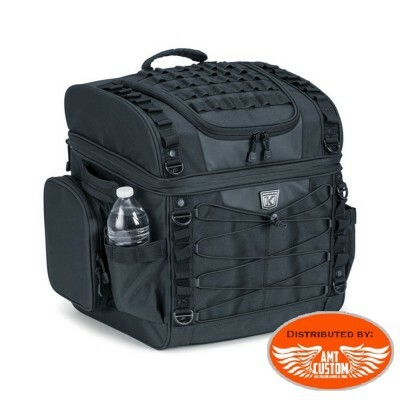 Fabric backpack. 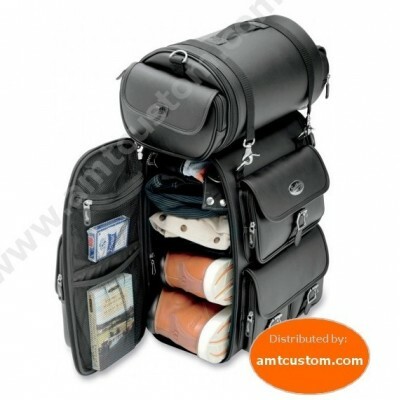 - A multitude of pockets! 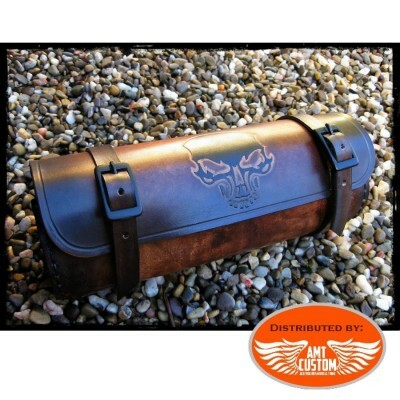 - See the "MORE INFO" tab. 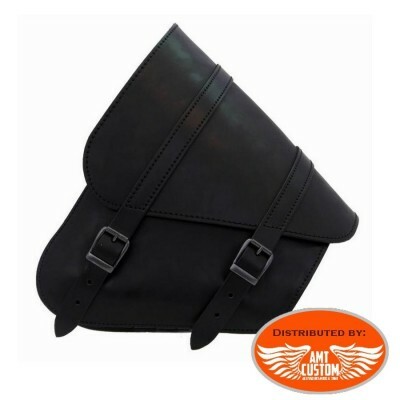 Cloth backpack. 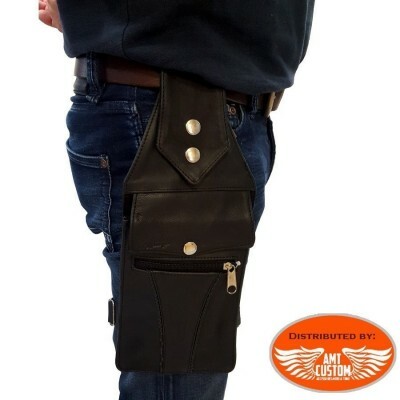 - A multitude of pockets! 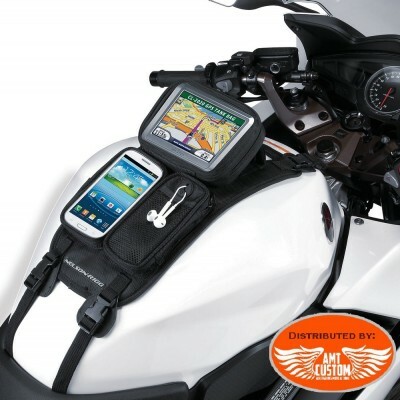 - See the "MORE INFO" tab. 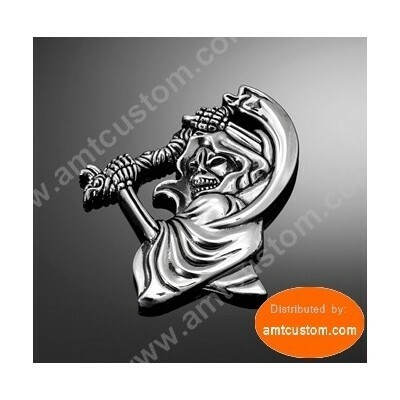 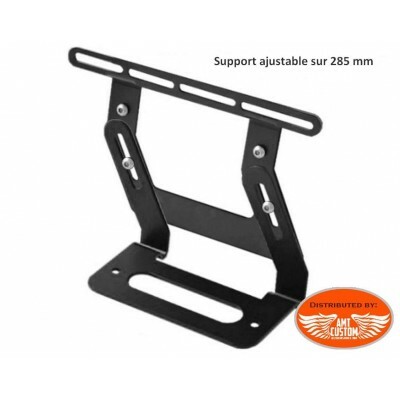 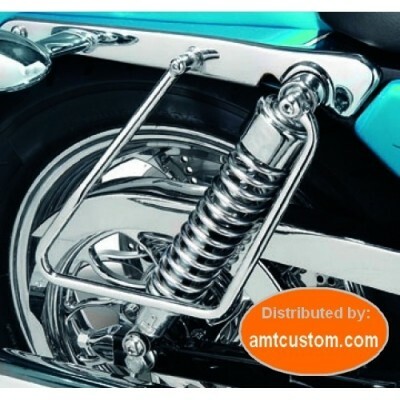 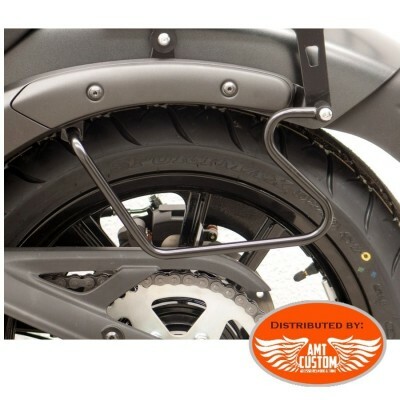 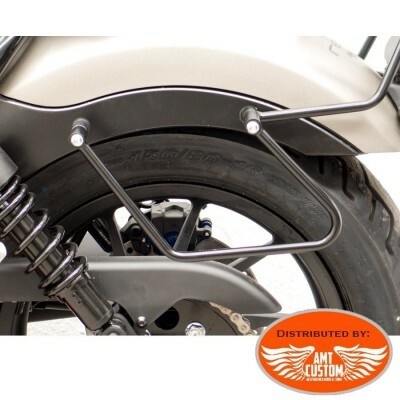 Supports 2 spacers bags with only one attachment point - Ideal for motorcycle with only one attachment point on swords ...- Warning: This spacer can not be compatible with motorcycles equipped with Sissy bar whose plates are also attached to the swords. 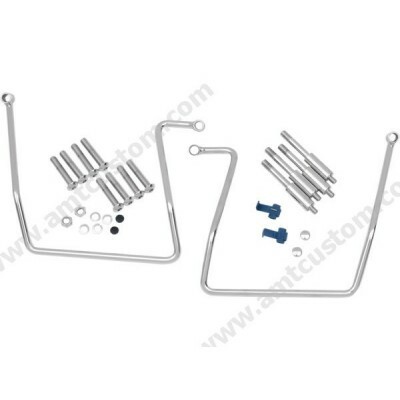 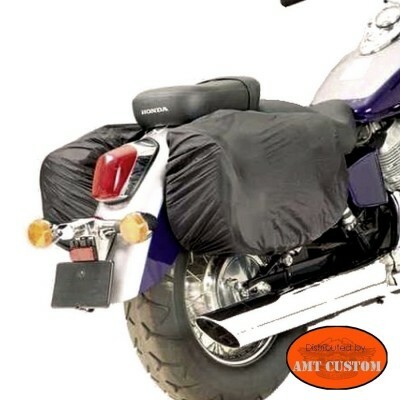 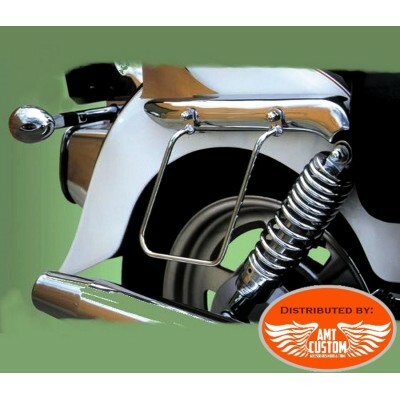 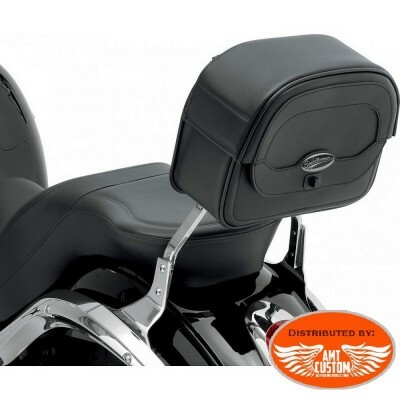 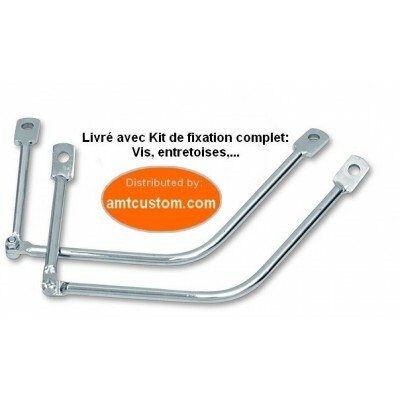 Saddlebag Support Recommended for use with any saddlebag Includes two chromed steel saddlebag supports plus all nuts, bolts and spacers needed for installation. 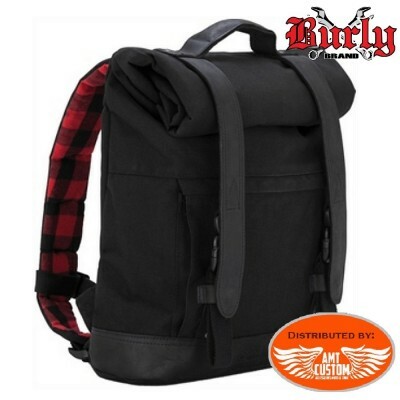 Fabric backpack. 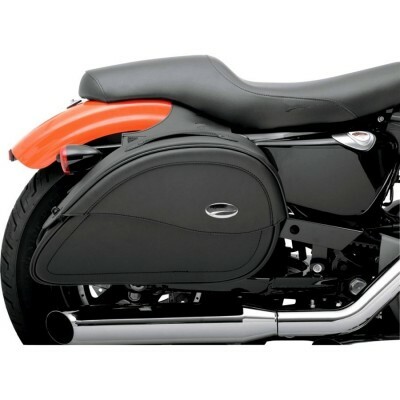 - Hyper practice! 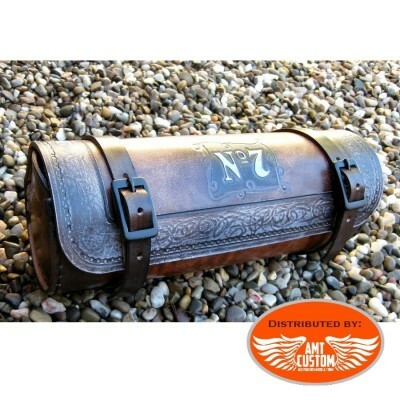 - See the "MORE INFO" tab. 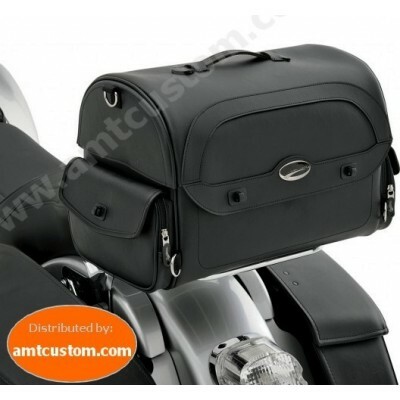 Bag for Biltwell Helmet. 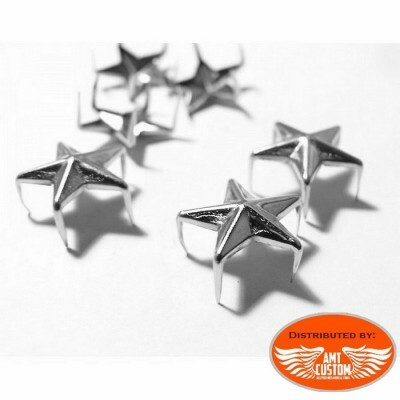 - Hyper practice! 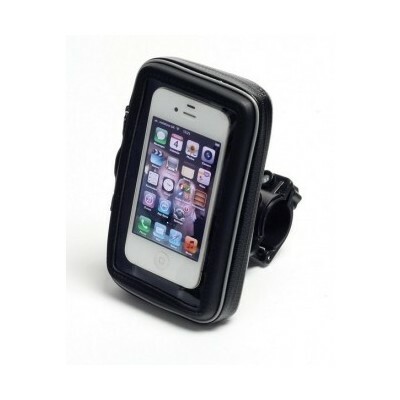 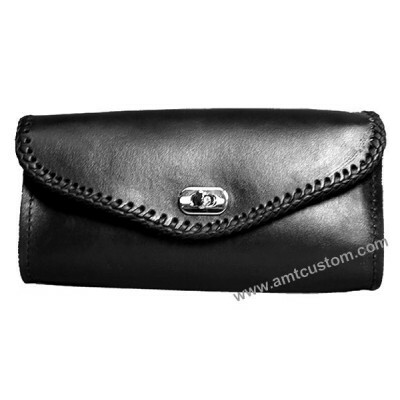 - Includes pocket for small object: phone, card ... - See the "MORE INFO" tab. 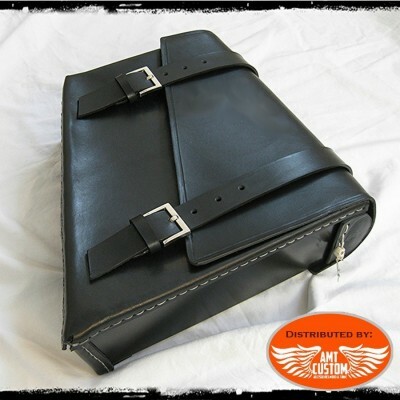 Backpack in fabric and latex. 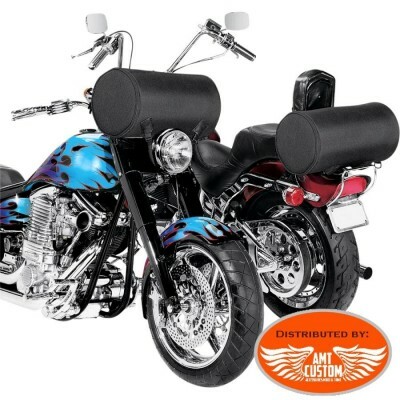 - Hyper practice! 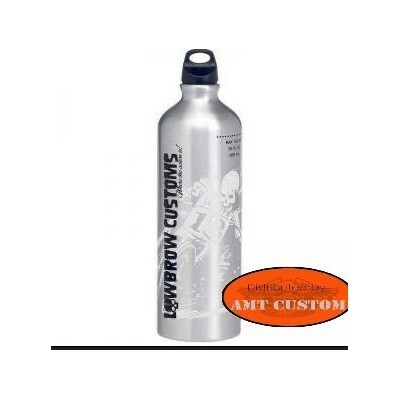 - See the "MORE INFO" tab. 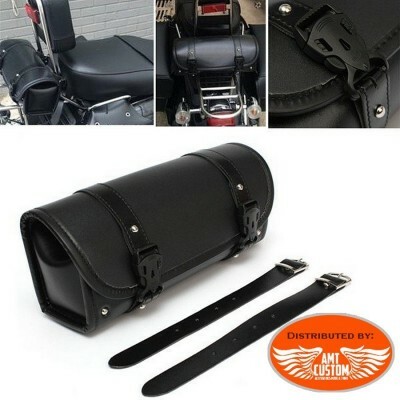 Biker backpack. 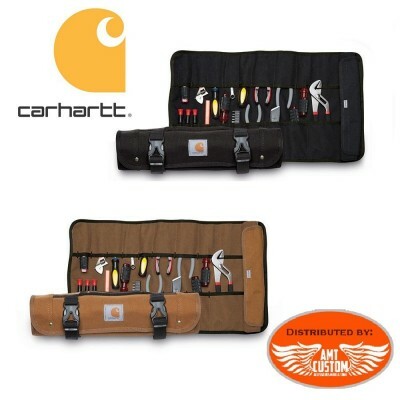 - Genuine brand "Carhartt" - See the "MORE INFO" tab. 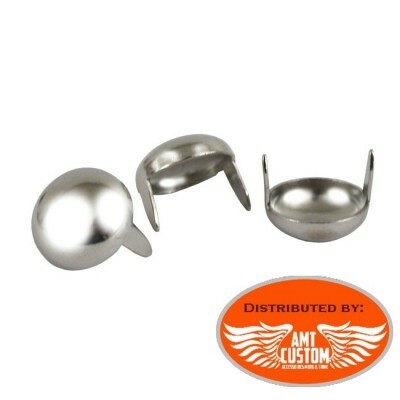 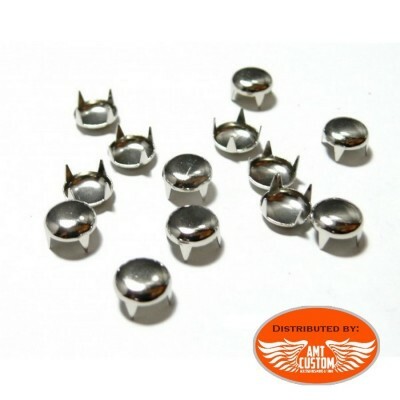 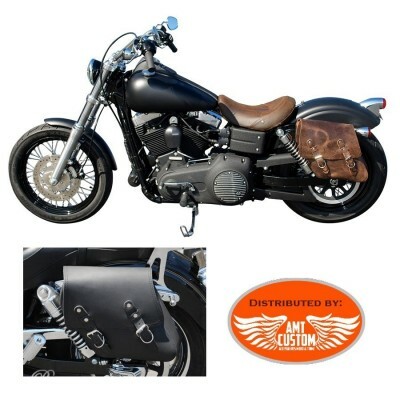 Chrome Mounting spacers for saddlebags Softal Harley Davidson Fat Boy, Deluxe, Breakout, ... - Support barckets Fit Softail Harley Davidson. 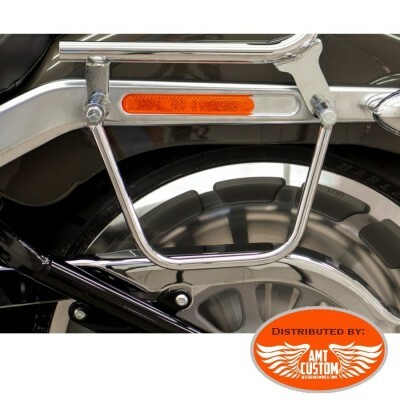 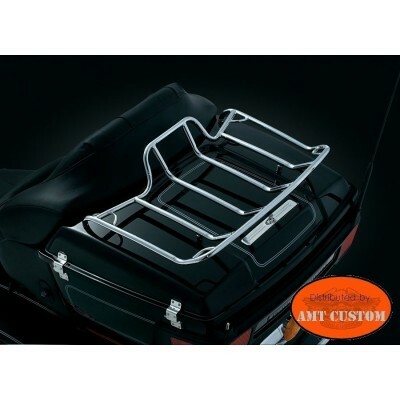 - Select the rack according to the model and year of your motorcycle. 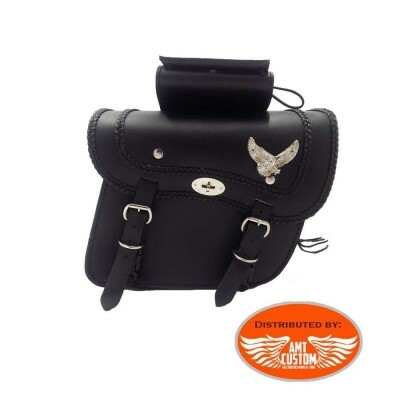 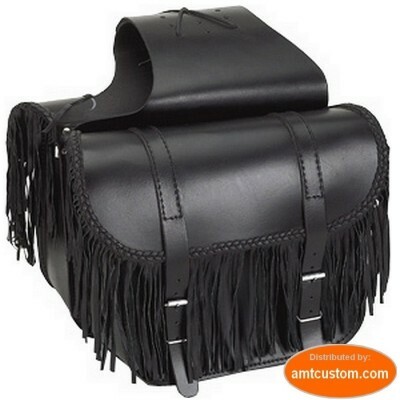 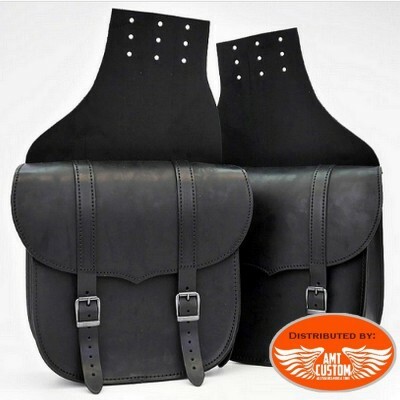 - See "More info"
Pair of saddlebags Eagle Riders universal leather. 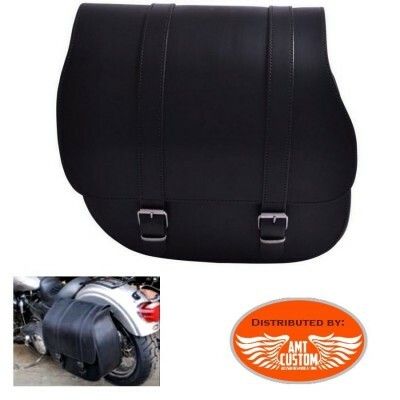 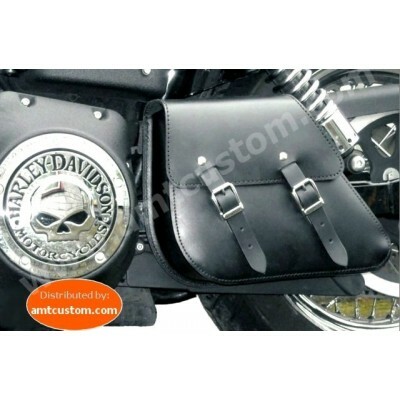 - Split leather bag for custom motorcycles. 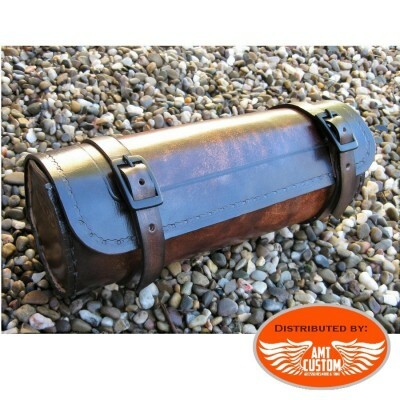 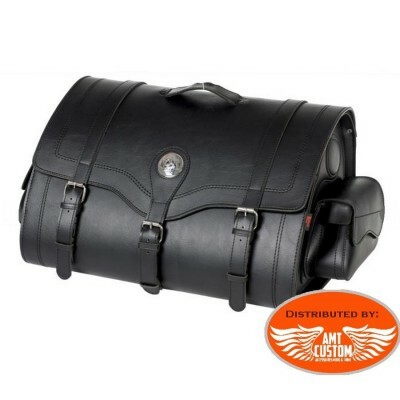 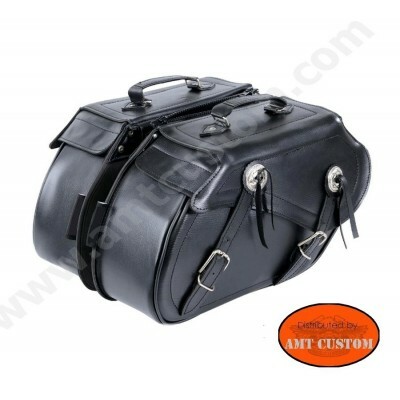 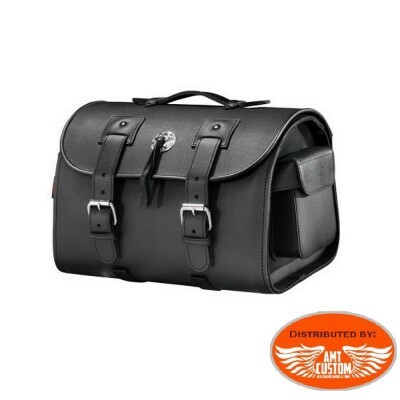 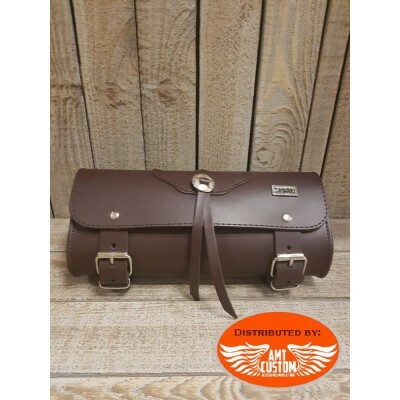 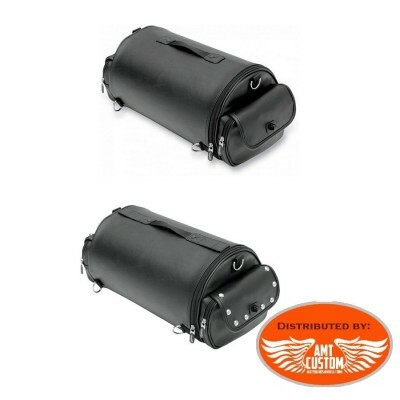 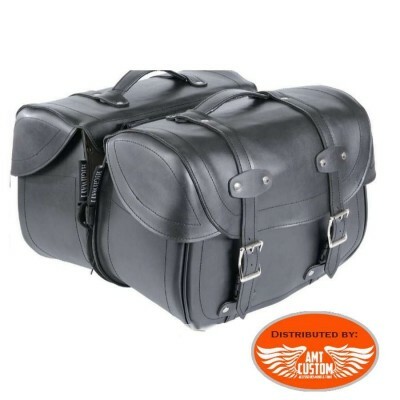 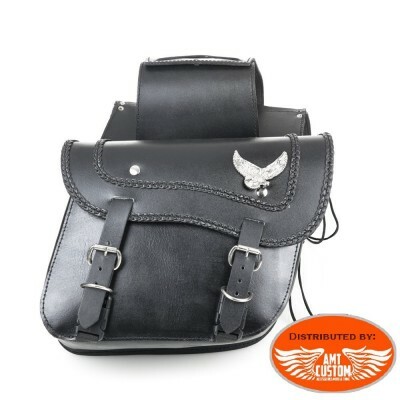 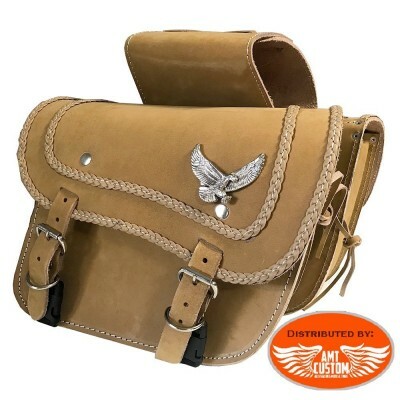 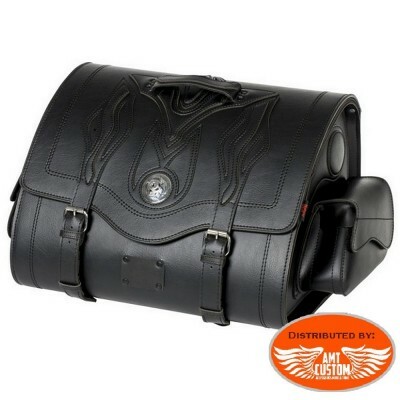 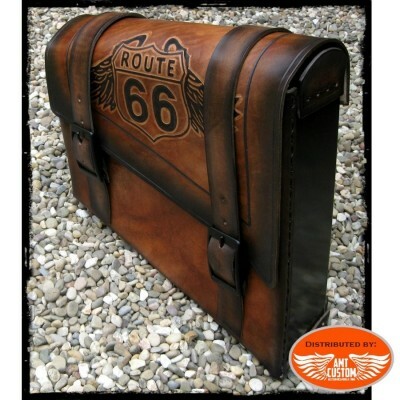 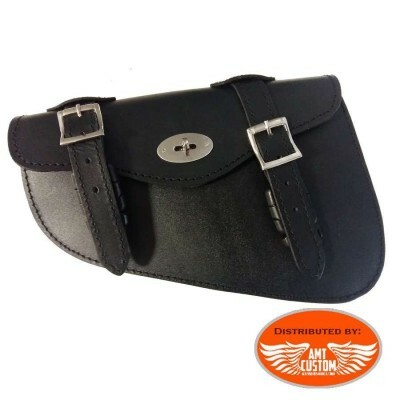 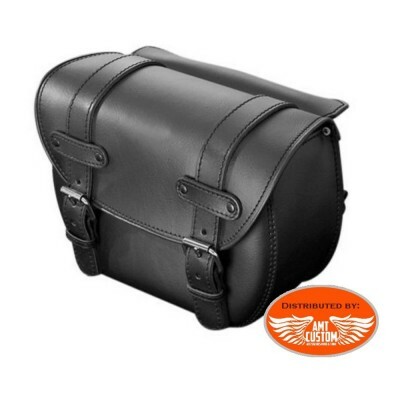 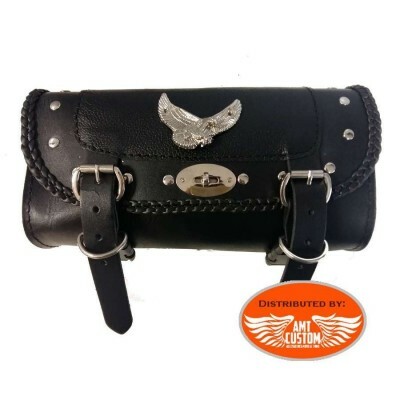 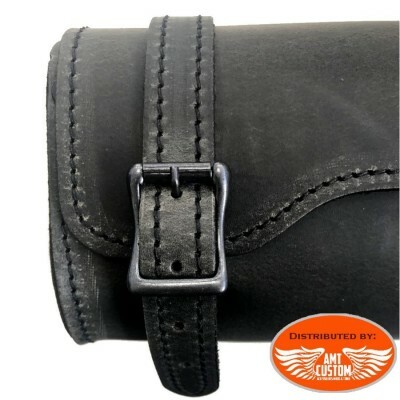 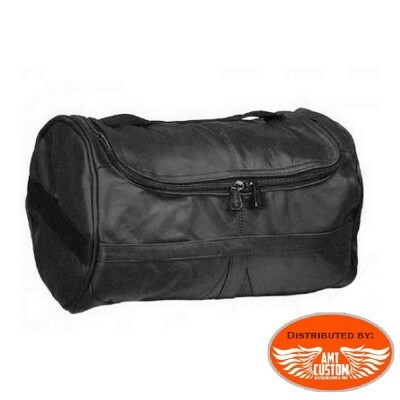 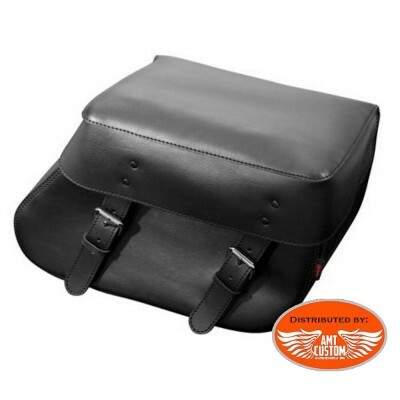 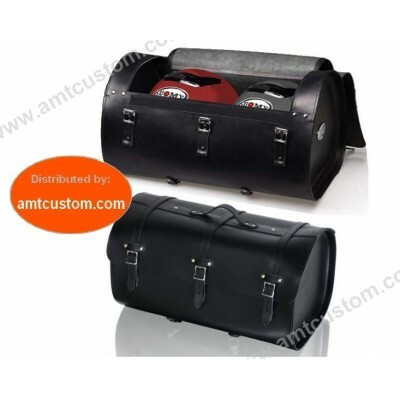 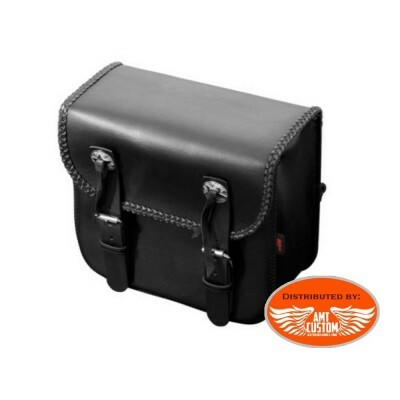 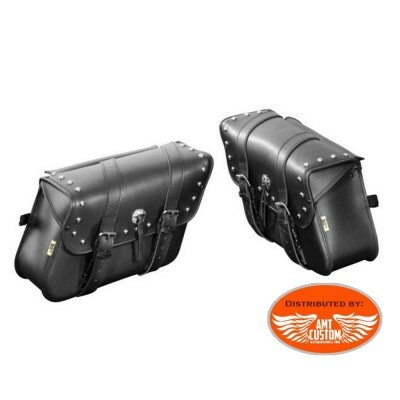 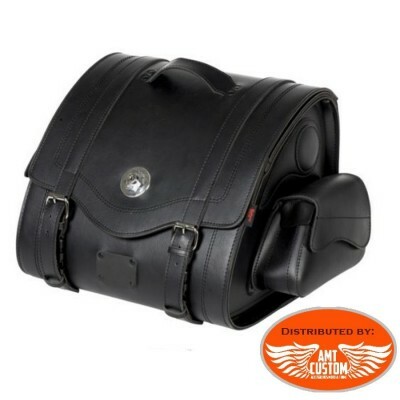 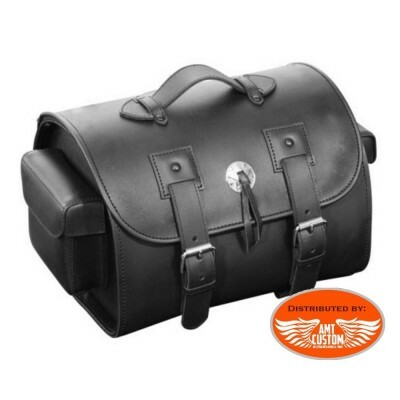 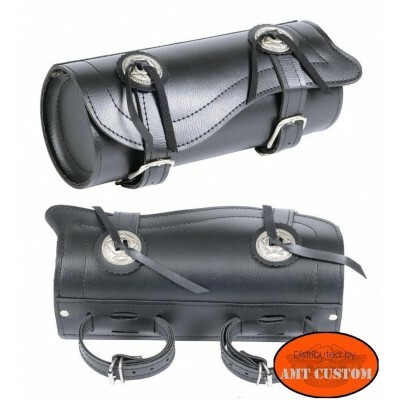 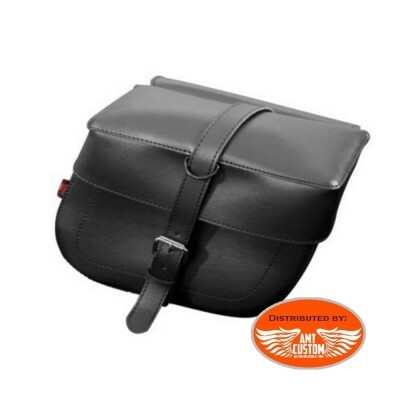 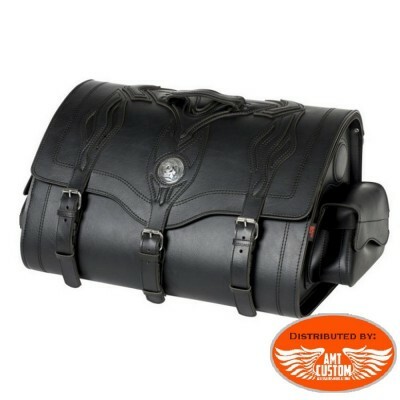 Eagle Pair of saddlebags Universal leather padlockable - Leather bags for custom motorcycles. 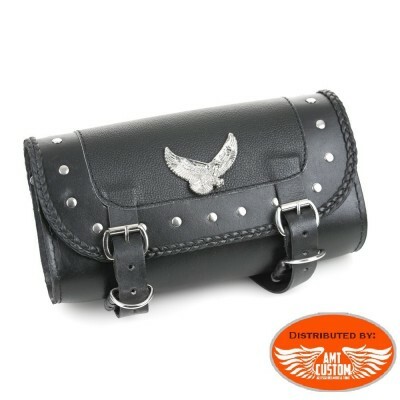 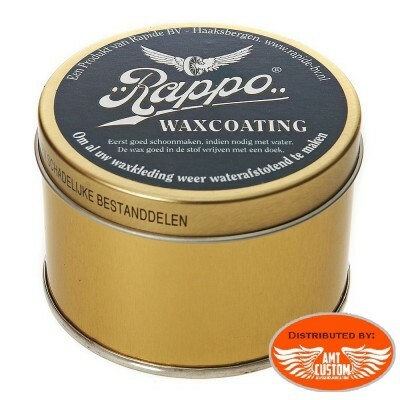 - Lockable eagle leather case. 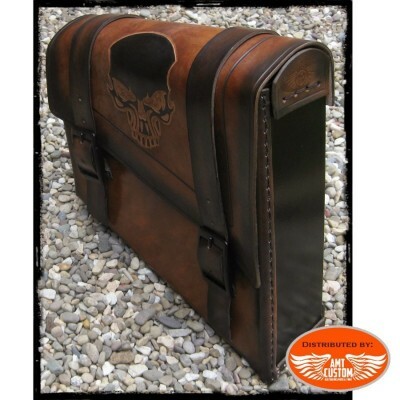 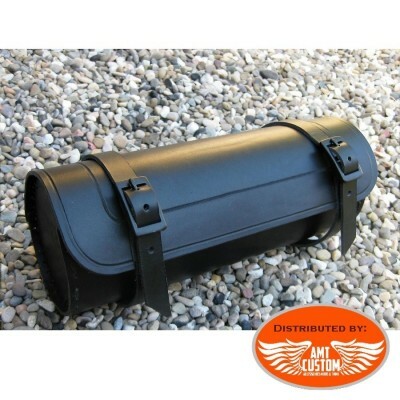 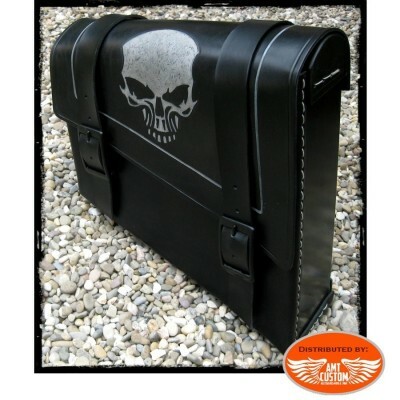 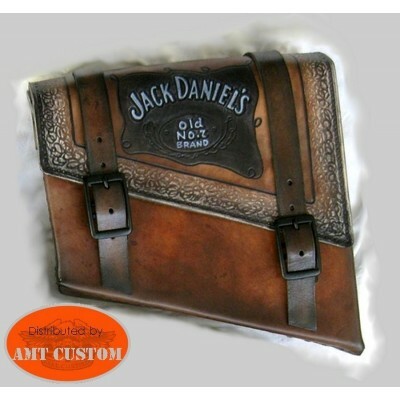 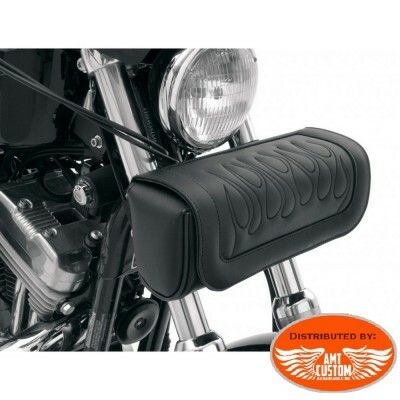 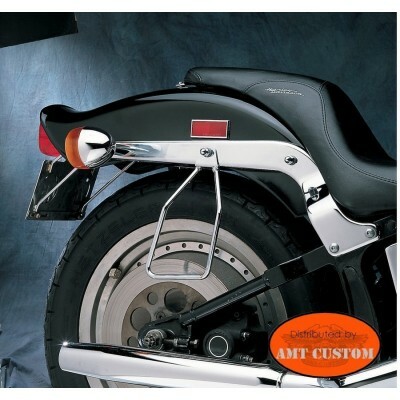 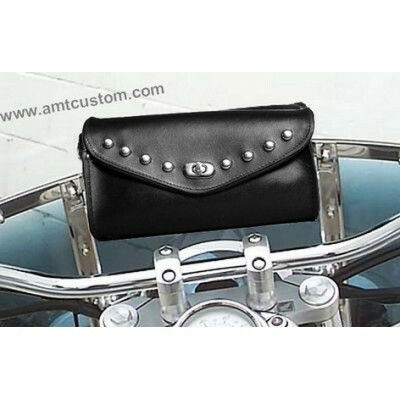 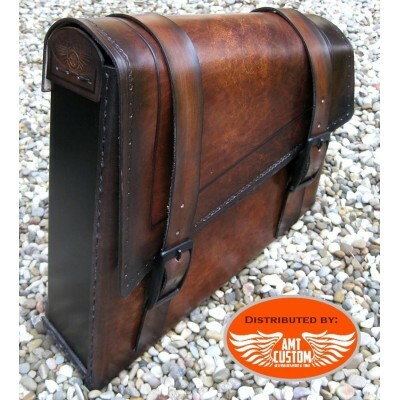 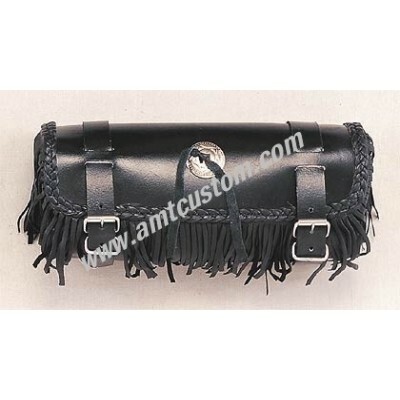 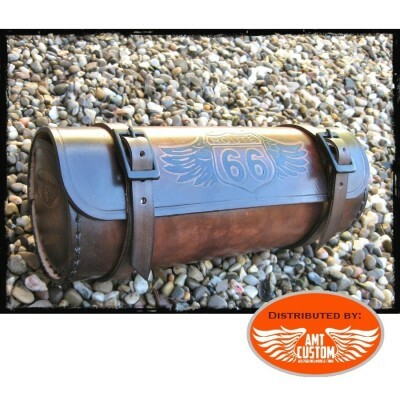 Sissy Bar Top Case with studs - motorcycles and trikes. 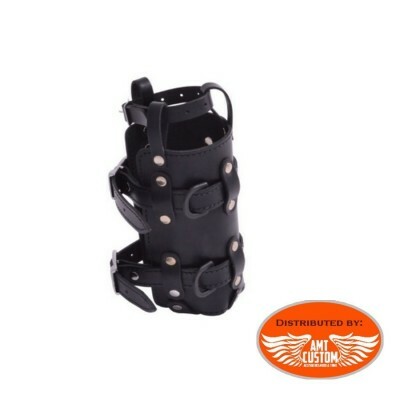 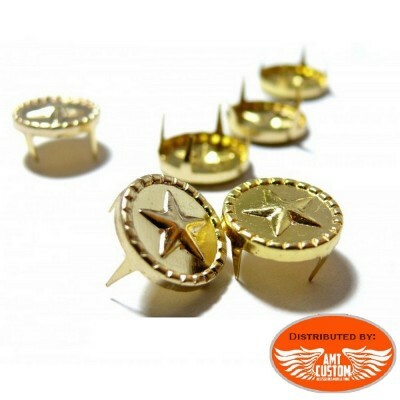 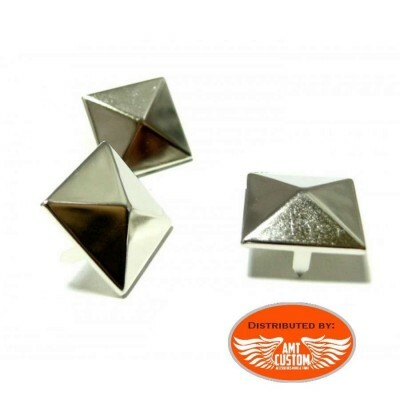 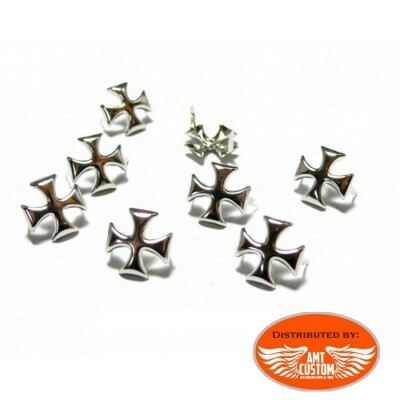 - View "MORE INFO" ... - Imitation leather finish with Studs. 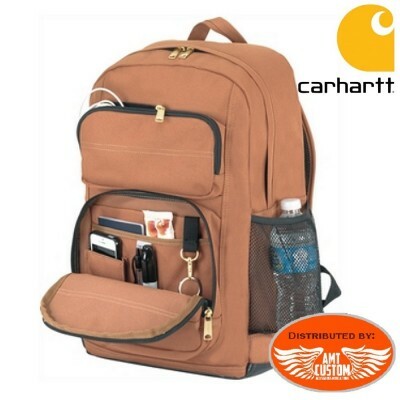 Cotton backpack. 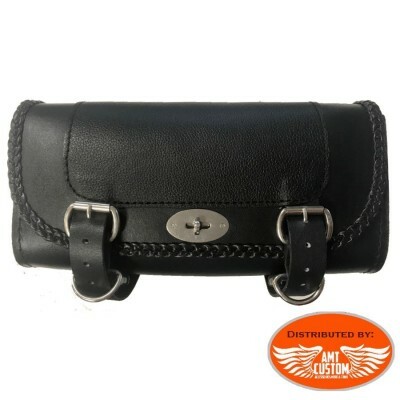 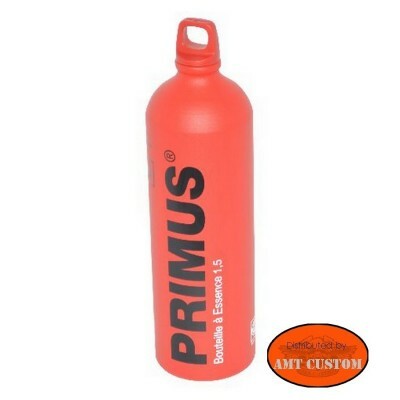 - Genuine brand "Burly Brand" - See the "MORE INFO" tab. 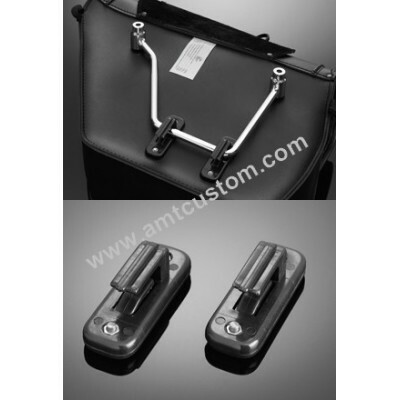 Kit support rigid bag - Quick assembly and dismantling of your bags. 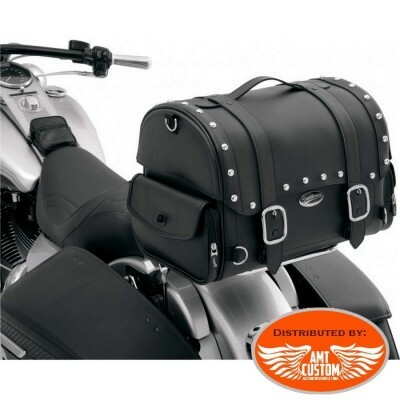 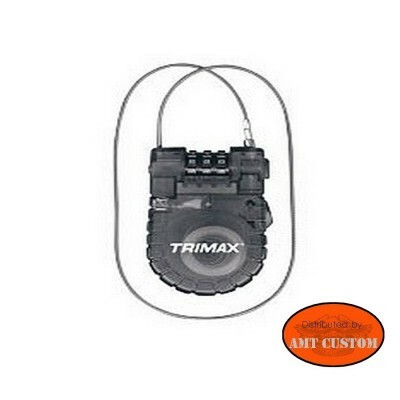 - Complete kit for two saddlebags. 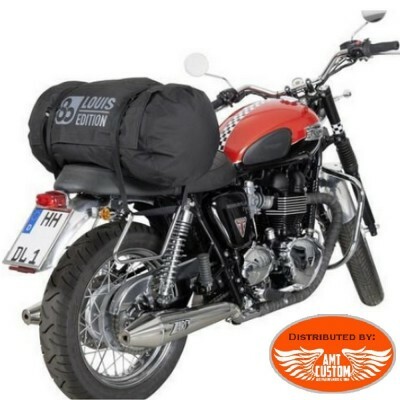 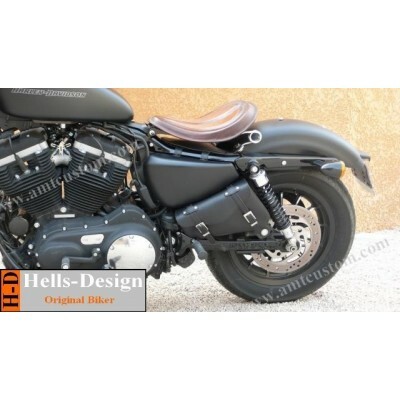 - This model is only suitable for the following models: * Sportster from 1994 to today. 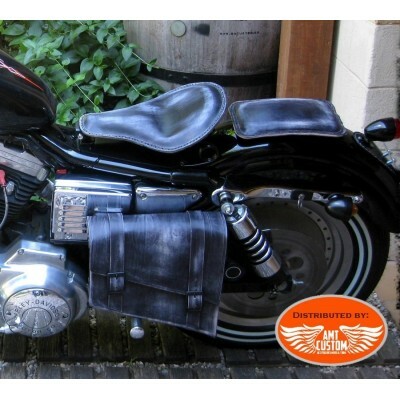 * Dyna from 1991 to today. 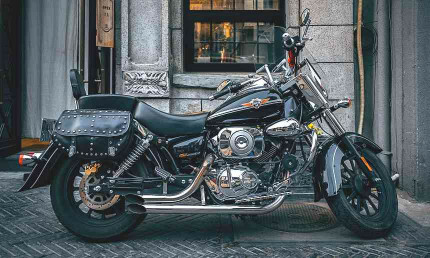 * Softail from 1984 to today. 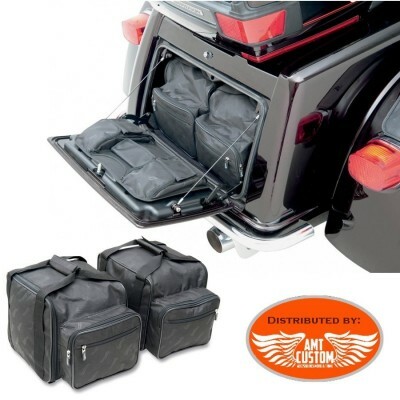 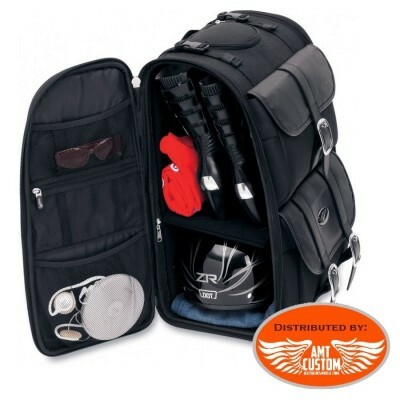 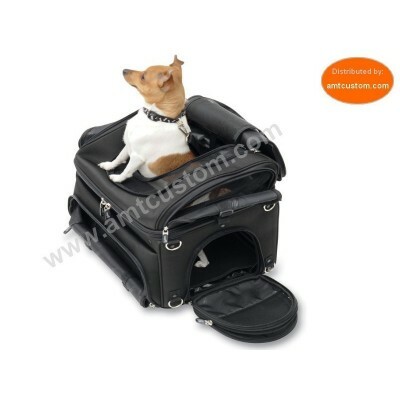 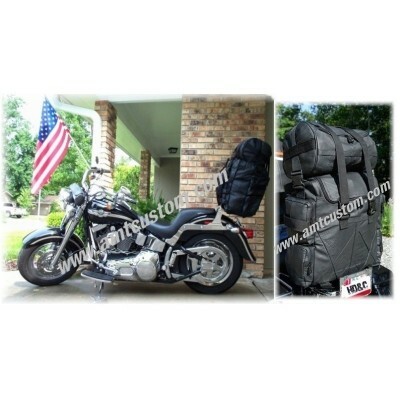 Suitcase plain or with studs Sissy bar & Rack Bags Motorcycles and Trikes... Click on "more info"!